Gurgaon/New Delhi, May 29 : Isuzu Motors Thursday opened its first outlet in the national capital region in a bid to enter the north India market. "North is an important region for us, contributing to approximately 30 percent of the total pickup sales in the country," said Takashi Kikuchi, managing director, Isuzu Motors India. "We are observing a gradual shift from small commercial vehicles to pick-ups, which is one of fastest growing segments in commercial vehicles (CV), accounting for 35 percent of the total CV market." It is expected that by 2023, the one-tonne pickup segment in India will grow to 8 lakh units and become the world's largest pickup market. The company also launched in Gurgaon its pickup range “D-Max”, comprising of three models priced between Rs. 5.89 lakh and Rs. 6.99 lakh (ex-showroom NCR). 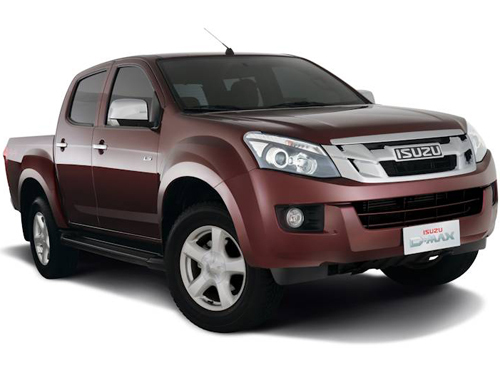 The D-Max series is propelled by a 2,499 cc, four-cylinder intercooled turbocharged diesel engine, mated with a five-speed manual transmission. The company also announced it would open outlets in Gurgaon, Noida, Jaipur and Ludhiana this year and Chandigarh, Amritsar, Jalandhar, Lucknow, Kanpur and Udaipur by next year to cater to the entire northern region. Isuzu Motors India aims to open 60 outlets across India by the end of 2015-16.